Fix the final date and duration of the school 1 August Local organizers done School will be one day longer than in 2018 - RHUL conferencing have confirmed availability of rooms. If you will need a visa, and have not already done so, please let us know as soon as possible so that we can provide you with an invitation letter. Due to the ongoing political uncertainty regarding the UK's departure from the European Union, we advise anyone travelling to the school to ensure that their passport will be valid for at least two months after arrival in the country. Should your passport expire before then, we recommend you consult with your national passport authority and renew your passport if recommended to do so. After a review of costs the accommodation fee will be 100 CHF per night for all staff. IMPORTANT: Please be sure to clearly indicate the name of the conference (ISOTDAQ 2019) and the budget code (34935) as the reason for the payment. Otherwise your payment may not be recognized. Note on bank SWIFT code - it has been pointed out that the SWIFT code to be used for the payment is registered as 'UBS AG-Zurich' rather than 'UBS AG-Geneve'. This is expected and doesn't imply any problem with the transfer. Please note, the on-campus accommodation at RHUL will be available for you to check in to from 4pm (UK time) on the day of your arrival. Check-in will be open until 10pm. If you need to arrive outside of this time window please let us know as soon as possible so that alternative arrangements can be made. In order to ensure that we provide any necessary support, please let us know if you have any disability which requires accessibility assistance or adaptation to lecture or teaching areas. Please also inform us if you have any medical requirements (e.g. storage of medication) where we can provide assistance. Please let us know if you have any special dietary requirements (including if you are vegetarian of vegan) or if you have any allergies or food intolerance. 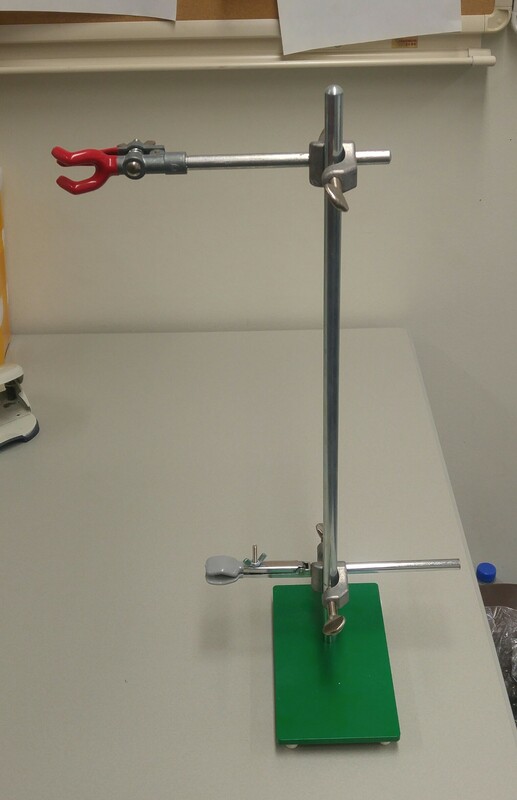 This is based on the feedback collected in 2018.
jpg Support_for_lab10.jpg r1 manage 490.5 K 2018-11-30 - 15:28 MauricioFeo Support stand + 2 clamps for lab 10.